COMMERCIAL BUILDING SITES AT MAJOR NWWI INTERCHANGE AT HIGHWAY 53 AND 70 SITUATED BETWEEN EAU CLAIRE AND DULUTH PROVIDING QUICK AND CONVENIENT ACCESS AT STRATEGIC . . . PERFECT PROPERTY FOR THE DEVELOPER OR JUST SOMEONE THAT WANTS TO CREATE A UNIQUE HIDEAWAY. PICNIC AREA &AMP; CAMPSITE ALREADY CLEARED AMONG MAJESTIC TREES AND THE . . .
A GREAT MIXTURE OF TILLABLE, PASTURE, WOODED AND WATERFRONT ON THE YELLOW RIVER. COME ENJOY QUIET NIGHTS IN THE COUNTRY WHILE ONLY BEING A FEW MILES AWAY FROM TOWN. THIS . . .
A WONDERFUL MIXTURE OF TILLABLE AND WOODED LAND LOCATED A SHORT DISTANCE FROM SPOONER. THIS LAND OFFERS SOMEBODY A GREAT HUNTING PIECE OF LAND OR A PEACEFUL BUILDING . . .
39+ ACRE WOODED PARCEL WITH A WINDING DRIVEWAY THAT LEADS TO A 30 X 40 METAL SHED. THIS PROPERTY HAS 200 AMP ELECTRICAL SERVICE, WELL AND A 3 BEDROOM SEPTIC SYSTEM. THE . . .
NICELY WOODED 2.07 ACRE HOMESITE ON ONE OF THE AREAS MOST PREMIERE LAKES, BIG MCKENZIE, WITH OVER 1,185 ACRES OF CRYSTAL CLEAR DEEP WATER BOATING AND FISHING PARADISE. . . .
36 ACRES OF GREAT HUNTING LAND WITH LOG CABIN IN PLACE. CABIN HAS HEAT AND ELECTRIC (NO WATER OR SEPTIC). VIRTUALLY ALL THE LAND TO THE EAST AND TO THE SOUTH IS WASHBURN . . . THIS IS HONESTLY A GREAT INVESTMENT. TIMBER WAS CUT SEVERAL YEARS AGO, AND THERES A NICE GROWTH COMING BACK FAIRLY QUICKLY. DRIVEABLE TRAILS THROUGHOUT. PLENTY OF . . .
BEAUTIFUL WOODED PARCEL IN BEAVER BROOK TOWNSHIP SE OF SPOONER. GREAT HUNTING, RECREATIONAL OR BUILDING SITE. PROPERTY ALSO HAS ACCESS OFF OF HWY 53. MORE LAND IS . . .
40 ACRES OF ROLLING WOODED LAND LOCATED ABOUT 7 MILES EAST OF SPOONER. THERE IS 24X26 DETACHED GARAGE AND 30X32 BUILDING ALREADY ON THE PROPERTY. THERE IS AN OLD MOBILE . . .
BEAUTIFUL WOODED PARCELS IN BEAVER BROOK TWP SOUTH OF SPOONER. GREAT FOR HUNTING, RECREATION OR YOUR NEW BUILDING SITE. GOOD ACCESS OFF HWY 53 AND WILDCAT RD. SELLER HAS . . . 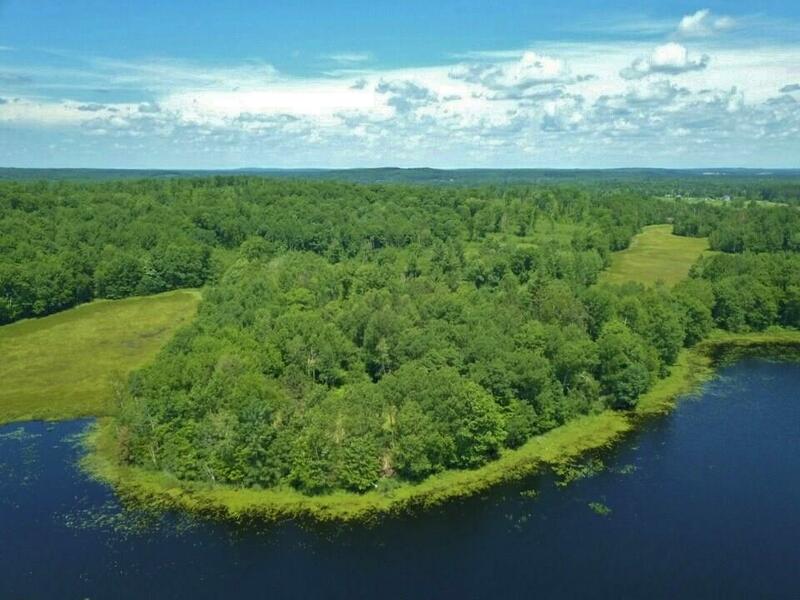 EXCEPTIONAL WOODED LAKE LOT ON 326 ACRE RICE LAKE. 150' OF FRONTAGE WITH SANDY LAKE BOTTOM. TOWERING PINES AND OAKS PROVIDE AN IDEAL SETTING FOR A LAKE CABIN OF ANY . . .
GORGEOUS LOCATION ON SPOONER LAKE WITH JUST ENOUGH ELEVATION TO MAKE IT THE PERFECT WALKOUT SITE. IMAGINE THE CABIN OF YOUR DREAMS ON THIS NORTH WEST FACING LOT CATCHING . . .
GREAT LOCATION WITH TILLABLE AND WOODED ACRES. ONLY FOUR MILES WEST OF SPOONER WITH GREAT HWY ACCESS FOR FARMING THE 32 TILLABLE ACRES OR TO BUILD YOUR DREAM HOME. BEAUTIFUL WOODED PARCELS IN BEAVER BROOK TWP SOUTH OF SPOONER. GREAT FOR HUNTING, RECREATION OR YOUR NEW BUILDING SITE. GOOD ACCESS OF HWY 53 AND WILDCAT RD. SELLERS HAS . 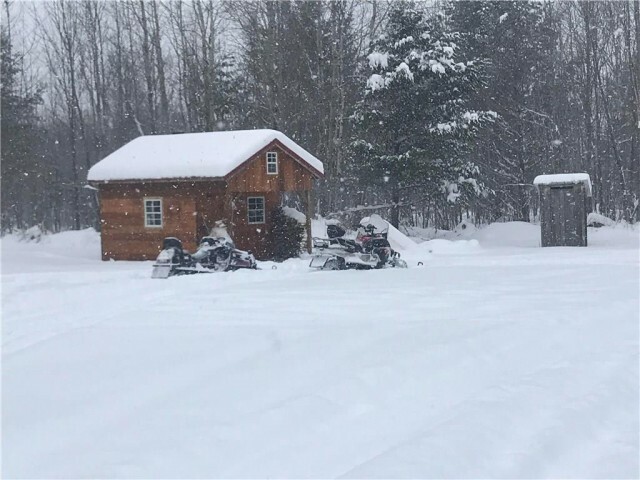 . .
WITH 411' SHORELINE &AMP; 4.49 WELL WOODED ACRES, THE OPTIONS HERE ARE MANY &AMP; INCLUDE ONE VERY PRIVATE CABIN/RESIDENCE SITE OR DIVIDE TO 2 LOTS EACH WITH 200+' . 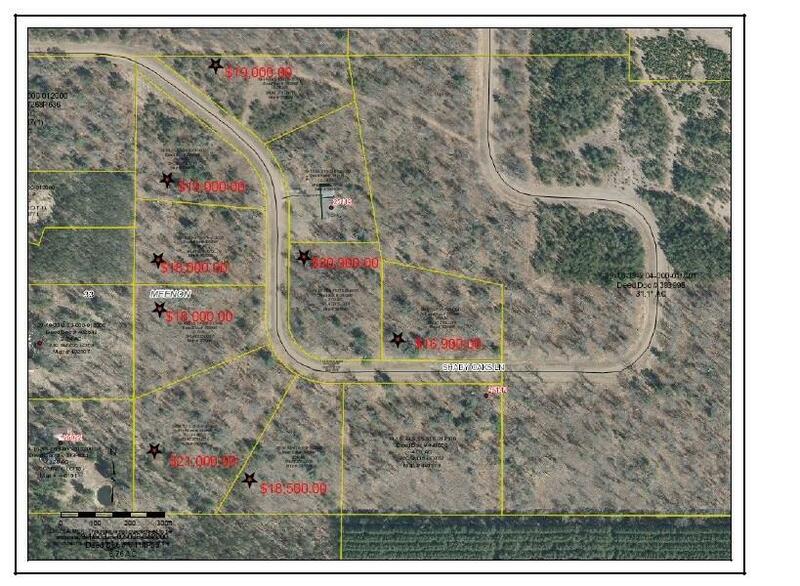 . .
BEAUTIFUL WOODED PARCEL IN BEAVER BROOK TOWNSHIP LOCATED SE OF SPOONER. GREAT HUNTING, RECREATIONAL OR BUILDING SITE. PROPERTY ALSO HAS ACCESS OF HWY 53 THERE IS MORE . . . HEAVILY WOODED PRIVATE LAKE LOT ON THIS FULL RECREATIONAL LAKE KNOWN FOR GOOD FISHING; LAKE IS NW OF SPOONER, WI. MIXED TREE COVER, PINES, OAKS, AND SOME NICE WHITE . . .
BEAUTIFUL WOODED PARCEL IN BEAVER BROOK TOWNSHIP, LOCATED SE OF SPOONER. GREAT HUNTING RECREATIONAL OR BUILDING SITE. PROPERTY HAS ACCESS TO HWY 53. MORE LAND IS . . . EXCELLENT LOCATION FOR DEVELOPMENT WITH 34+ ACRES OF LAND ADJOINING SPOONER ELEMENTARY AND SPOONER HIGH SCHOOLS. CURRENTLY ZONED RES/AG CAN BE DIVIDED AS SMALL AS 5 ACRE . . .
37.14 ACRES WITH DILLY LAKE VIEWS AND OVER 1600' OF FRONTAGE. ACCESS VIA EASEMENT. VERY PRIVATE, WELL WOODED 3.7 ACRE EXCELLENT BUILDING SITE FOR YOUR LAKE HOME OR CABIN! LOCATED ONLY A FEW MILES OUT OF SPOONER, ON A PRIVATE ROAD WITH 200 FEET OF . . . PARTIALLY WOODED 56 ACRE PARCEL WITH GREAT HUNTING . ACCESS VIA EASEMENT. 20 PARTIALLY WOODED ACRES WITH DRIVEWAY ALREADY PUT IN. GREAT BUILDING SITE OVERLOOKING ANAH SPRINGS WHICH IS KNOW TO PRODUCE BROOK TROUT. 3 LOTS IN THE TOWN OF SPOONER, 4.59 ACRES. EACH LOT HAS A LARGE MOUND OF BLACK DIRT TO USE ON LOT. GAS &AMP; ELECTRIC AT STREET, ZONED RESIDENTIAL. BUILD YOUR HOME OR . . . HEAVILY WOODED LOT ON GOOSE LAKE JUST OUTSIDE SPOONER, WIS. ALMOST 2 ACRES IN SIZE. EXCELLENT FISHING AND SWIMMING. GREAT HUNTING IN THE GENERAL AREA. CLOSE TO GOLF, . . .
BREATHTAKING, WOODED, MEANDERING LOT WITH SOUTHWEST VIEWS &AMP; PERFECT BUIDING SITES FOR YOUR NEW CABIN W/ WALKOUT BASEMEN ON CLEAN, BLUE LAKE. AWARD WINNING FISHING; . . . APPROXIMATELY 43.17 ACRES LOCATED WITHIN 10 MILES OUT OF SPOONER ON CTY RD A. PROPERTY IS IN EVERGREEN TOWNSHIP-WASHBURN COUNTY. PROPERTY WOULD MAKE A GREAT BUILDING . . . PERFECT SPOT FOR YOUR LAKE HOME OR CABIN! 200' OF FRONTAGE ON ELLSWORTH LAKE IN WASHBURN COUNTY. ACCESS TO RECREATIONAL ACTIVITIES ON THE LAKE OR ENJOY TRAILS NEARBY. . . .
GREAT LOCATION JUST 2 MILES FROM SPOONER, PRIVATE SETTING. THERE IS JUST OVER 13 ACRES OF LAND WITH FRONTAGE ON THE YELLOW RIVER. THERE IS A CREEK THAT RUNS ALONG THE . . .
1.5 ACRES AND 300 FEET OF FRONTAGE ON A GREAT BUILDING SITE WITHIN WALKING DISTANCE TO SHOPS AND MANY AMENITIES IN SPOONER. WITHIN THE CITY LIMITS, BUT WITH THE FEEL OF . . . THIS BEAUTIFUL PIECE OF LAND, HAS SO MUCH TO OFFER. THERE ARE SEVERAL SOUTH FACING POTENTIAL BUILDING SITES. THE FOUNDATION OF THE ORIGINAL BROOKSIDE MILL IS ON THE . . . LOOKING TO BUILD IN THE TOWN OF SPOONER? THIS .75 ACRES IS WAITING FOR YOU! A RARE FIND AND GREAT LOCATION WITHIN THE CITY BY THE BASEBALL FIELD, CLOSE TO SCHOOLS AND . 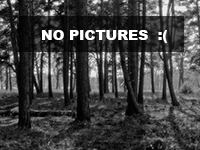 . .
LARGE WOODED LOT WITH SMALL POND ON PROPERTY. THIS FANTASTIC LOT IS LOCATED ACROSS THE ROAD FROM 239 FEET OF SHARED SHORELINE ON ONE OF THE AREAS TOP RECREATIONAL LAKES! . . .
LARGE WOODED LOT WITH SMALL POND ON PROPERTY. THIS FANTASTIC LOT IS LOCATED ACROSS THE ROAD FROM 239 FEET OF SHARED SHORELINE ON ONE OF HE AREAS TOP RECREATIONAL LAKES! . . .
1 ACRE WOODED LOT LOCATED ACROSS THE ROAD FROM 239 FEET OF SHARED SHORELINE ON ONE OF THE AREAS TOP RECREATIONAL LAKES! BUILD YOUR DREAM HOME OR CABIN JUST 2 HOURS FROM . . . PERFECT PROPERTY TO BUILD ON! WALKING DISTANCE TO SPOONER GOLF COURSE, AND BEAUTIFUL SPOONER LAKE! PEACEFUL AREA JUST OUTSIDE OF TOWN. SELLER IS A LICENSED CONTRACTOR . . . WONDERFUL 5 ACRES LOT JUST MINUTES FROM SPOONER SURROUNDED BY A MIXTURE OF HARDWOODS IDEAL FOR HUNTING. THE LOT IS LEVEL MAKING IT PERFECT FOR BUILDING YOUR DREAM HOME. . . .
NICE AFFORDABLE 20 ACRE PARCEL WITH GREAT ROAD ACCESS. PLANTATION TO BE THINNED. QUIET COUNTRY LIVING! BUILD YOUR DREAM HOME ON 4.87 ACRES SURROUNDED BY NATURE JUST MINUTES FROM DOWNTOWN SPOONER. 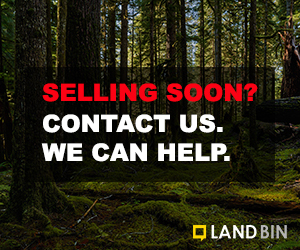 LAND OFFERS CHOICE BUILDING SITES IN THE WOODS WITH . . .
QUIET COUNTRY LIVING! BUILD YOUR DREAM HOME SURROUNDED BY NATURE JUST MINUTES FROM DOWNTOWN SPOONER. LAND OFFERS CHOICE BUILDING SITES IN THE WOODS WITH PERFECT TERRAIN . . .
OVER 5 ACRES LOCATED ACROSS THE ROAD FROM 239 FEET OF SHARED SHORELINE ON ONE OF THE AREAS TOP RECREATIONAL LAKES! BUILD YOUR DREAM HOME OR CABIN JUST 2 HOURS FROM THE . . .
SUPERIOR PLACE TO BUILD. JUST A FEW MILES OUT OF SPOONER, ON A DEAD END ROAD, AND WITH GRADUAL HILLS TO BUILD A SPECTACULAR WALKOUT. YOUR HOME OR CABIN WILL HAVE MILLION . . . THIS IS A VERY NICE RESIDENTIAL LOT IN THE CITY OF SPOONER WITH A VIEW OF THE YELLOW RIVER. THERE IS EASY ACCESS TO HWY 70 ALSO. LARGE 1.34 ACRE LOT. IDEAL FOR YOUR NEW HOME. GREAT BUILDING SITE ACROSS FROM POTATO LAKE. NEAR STONE LAKE &AMP; SPOONER. 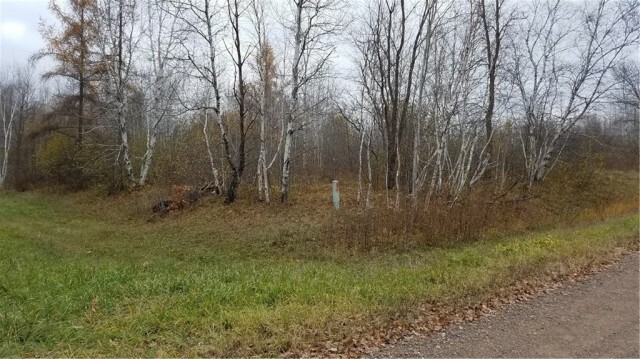 JUST SHY OF 5 ACRES IS THIS WOODED, BUILDABLE LOT ACROSS THE ROAD FROM POTATO LAKE. IDEAL FOR HOME/CABIN OR JUST A PERSONAL STORAGE BUILDING. THIS PARCEL ABUTS HUNDREDS . . .
NICE LEVEL ELEVATION LOT ON HOLE #3 OF THE SPOONER GOLF COURSE. NICE LEVEL ELEVATION RESIDENTIAL LOT ON HOLE #3 AT SPOONER GOLF COURSE. NICE LARGE LOT WITH GREAT BUILDING SITE JUST EAST OF SPOONER. WOODED WITH CONVENIENT ROAD ACCESS.